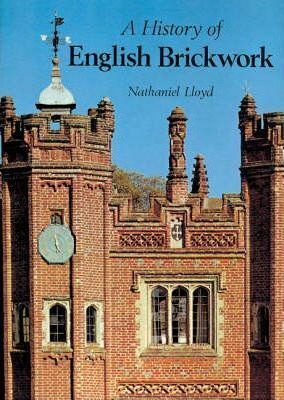 A History Of English Brickwork Hc. Nathaniel Lloyd (1867-1933), the distinguished architect and author, wrote this great standard work on English brick and brickwork in 1925. It is a superb photographic record, meticulously annotated, which has never been rivalled and is unlikely ever to be surpassed. 'A History of English Brickwork' is one of those rare books which covers the whole spectrum of the subject, from the practical problems faced by the craftsman shaping a brick or 'manipulating' it to make the glorious decorations found on so many English houses, to the detailed drawings necessary to construct a complicated capital; form the historical aspects of the manufacture to the dating of the work by the tickness of the joints. Thus, whether the reader seeks practical advice on the restoration of an old house, wishes to make modern structure that will tone in with the older one, or simply wants to understand the most varied and valuable building material used in this country, this book will be a good companion.